international markets is very slow. effort to match output with current levels of demand. 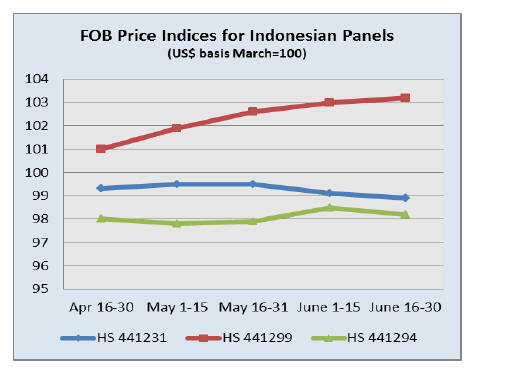 well above demand levels especially for okoume and okan. „mixed grade‟ that some buyers are beginning to accept. attempt to provide the foundation for current price levels. on activities and agree on the priorities for the 2015.
of timber revenues to communities. to address the dwindling forest resources in the country. security of the forest resource is at risk. below 2 million hectares today. 2000 this had now fallen to below 2%. veneer sheets and plywood and a wide range of agriproducts. 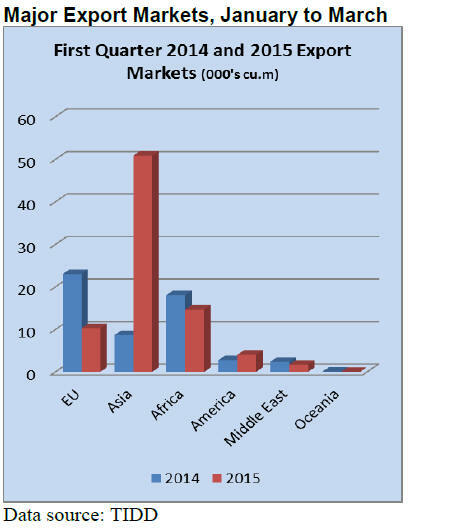 mainly due to more exports of processed products. 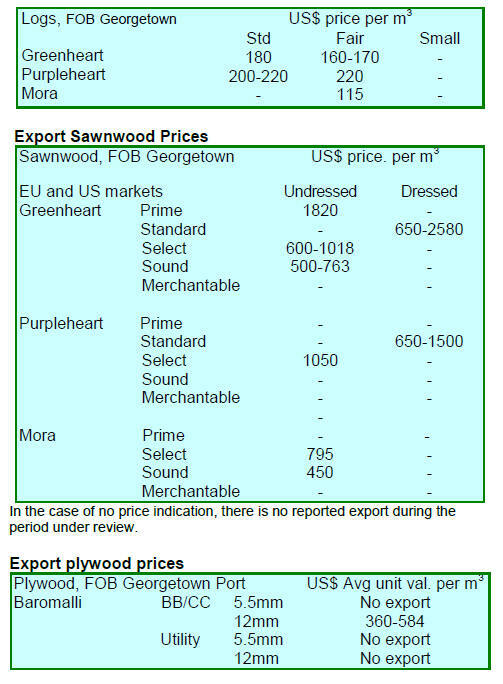 commodities such as logs, sawnwood and even plywood. 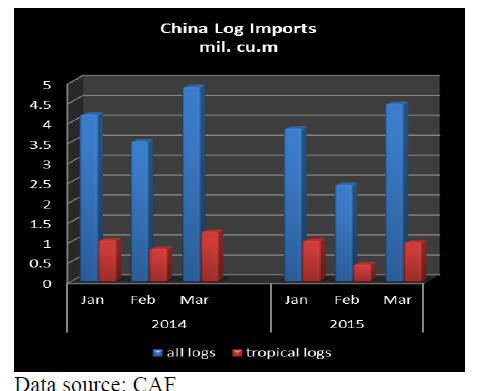 the abundant availability of oil palm logs. 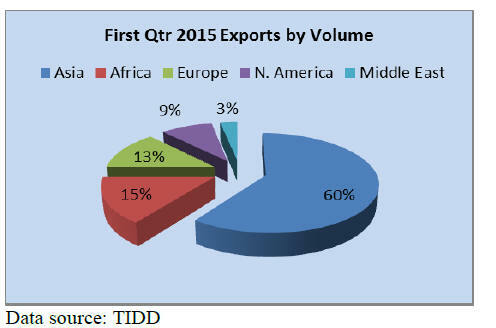 impact a weaker currency has on exports. 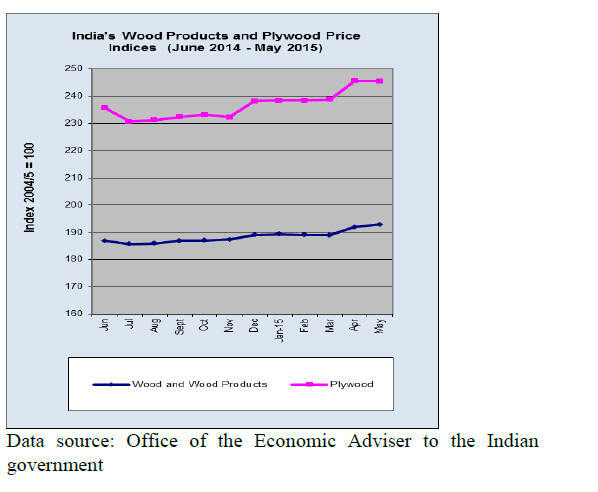 25% decline in log production in the year to April. the moratorium will be updated every six months. 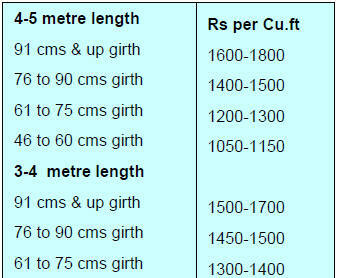 approving land conversion or felling. timber legality assurance system (TLAS). of the end of April. Jun was MMK 1230 to the US dollar. complaints have been heard from those trading with India. export ban are still substantial. timber is being smuggled out annually. seized during the first two months of this fiscal year. pay attention to consistency in grading. and Padauk slabs about MMK 9 million. about 1500 hoppus tons of teak logs will be up for sale. Minister for Housing and Urban Poverty Alleviation M.
mil. affordable homes in urban areas by 2022.
of machines that can be installed. sales were reported brisk as the quality of logs was good. 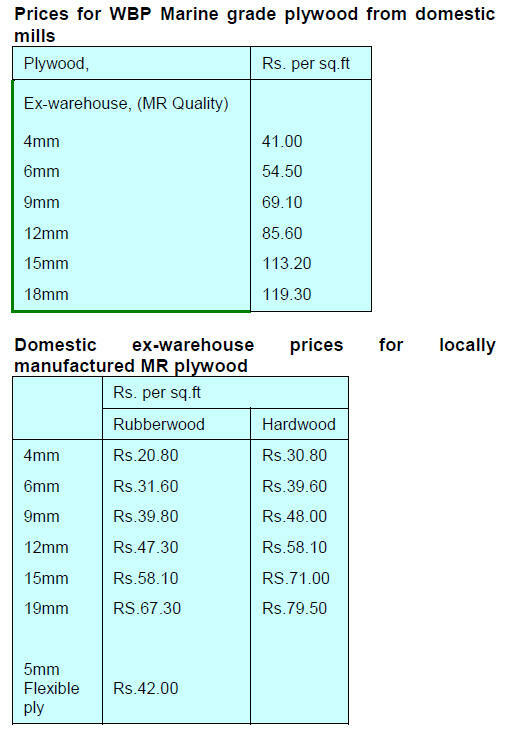 Around 5,000 cubic metres of logs were sold. 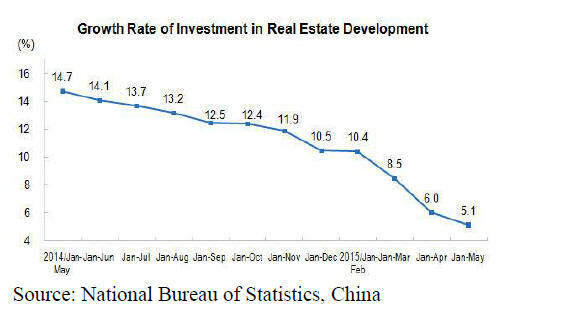 because domestic consumption was weak. of wooden houses in Brazil. 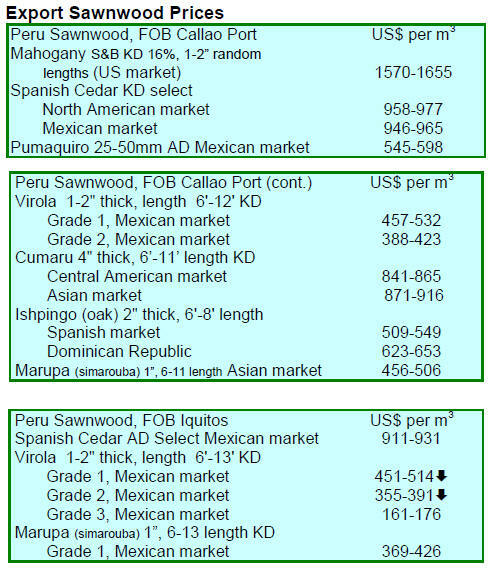 Brazilian furniture in international markets. INDEX DUBAI in May this year. largest log output from natural forests. available) the harvestable area has expanded over 50%. as protected areas and indigenous lands. obtained outside of the legal concession. SEDAM, Rondônia‟s forest inventory is in its final phase. SEDAM in drafting legislation and management plans. the aquaculture and forestry sectors. (PNDP) to implement the startegy. addressed by the relevant committee. most important sector in Asia. 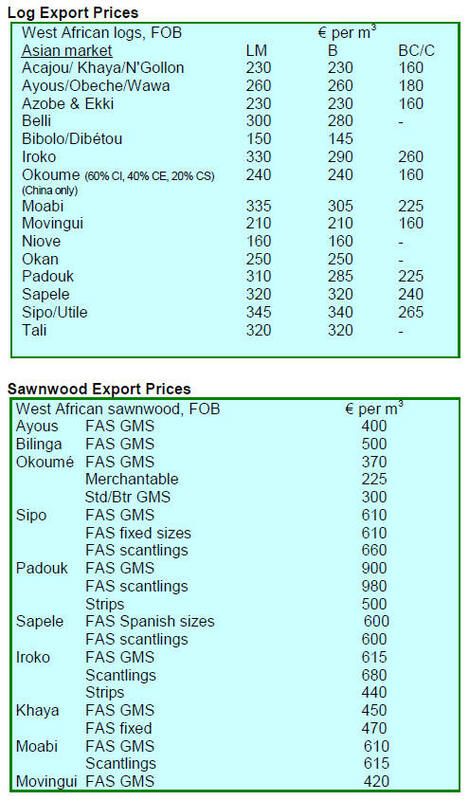 importers and marketers of wood-based panels. include a wide variety of agricultural products. appropriate market information to the stakeholders.